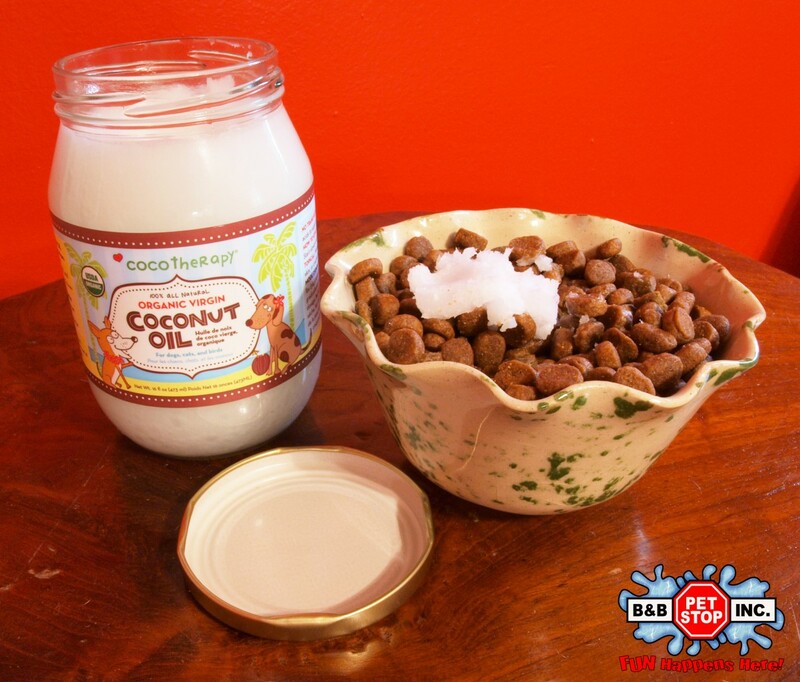 If you are a nutrition enthusiast like we are here at B&B Pet Stop, then I’m sure you’re already putting coconut oil on your toast, in your coffee, and on your face. But have you ever thought about doing the same for your dog? All the benefits people enjoy from adding coconut oil to their lives, dogs can enjoy as well. 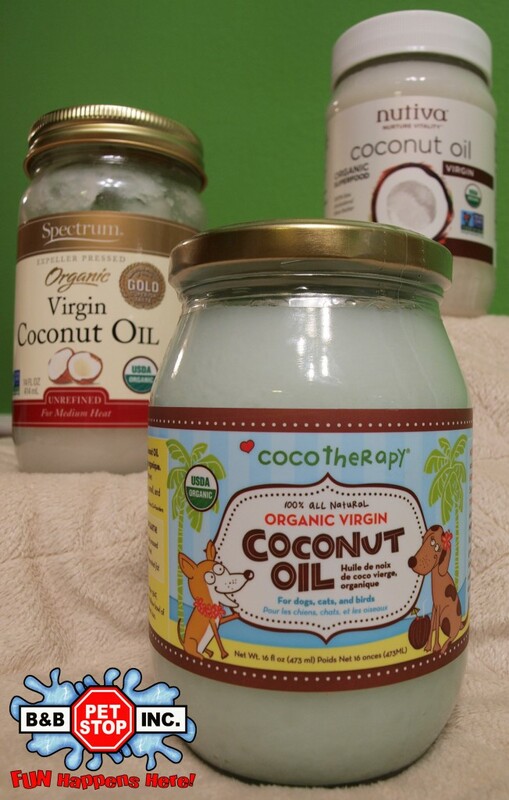 Why not use coconut oil for your dog, too?! There is so much hype in the media about coconut oil, that we don’t blame you if your first reaction was, is this snake oil? 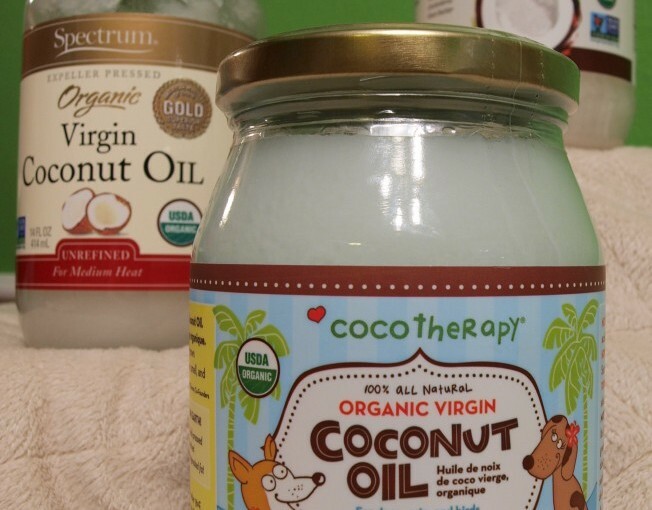 But the science backs it: coconut oil really does help with almost everything! Ingesting coconut oil can help maintain a healthy blood sugar level, which prevents diabetes, it can aid in digestion, as well as help maintain a healthy immune system. Almost every part of the body can benefit, even the eyes, joints, and circulatory system. Applying coconut oil to your dog’s skin will help to clear up hot spots, as well as condition their coat. It has both anti-fungal and anti-bacterial properties which can keep wounds from getting infected. It even has an SPF of 4 which can shield short-haired dogs from the sun. 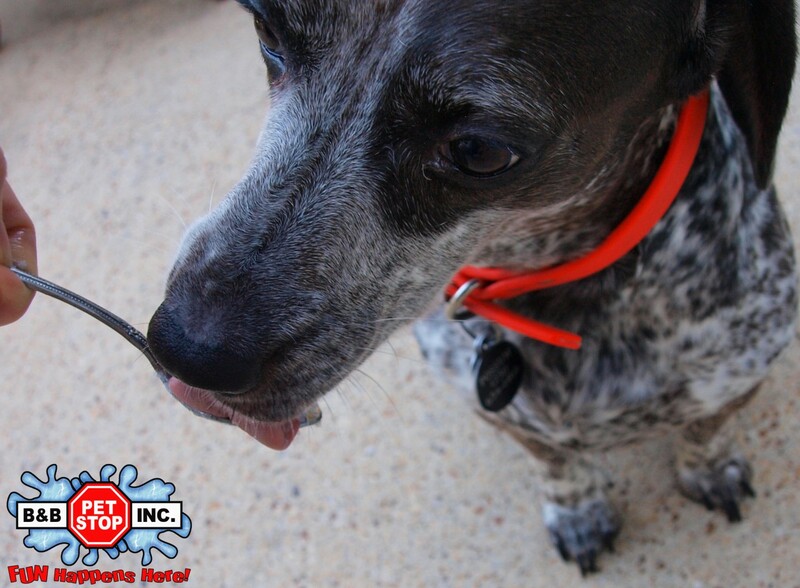 Consider adding a bit of coconut oil to your pet’s food and after spreading coconut oil on your face and toast, you can let your dog lick the spoon!